On August 6th, Yury Belskiy, the former student of now American trainer Michael Kozlowski came to Brooklyn’s Gleason’s Gym directly from JFK airport to meet his former trainer on his 50th birthday. 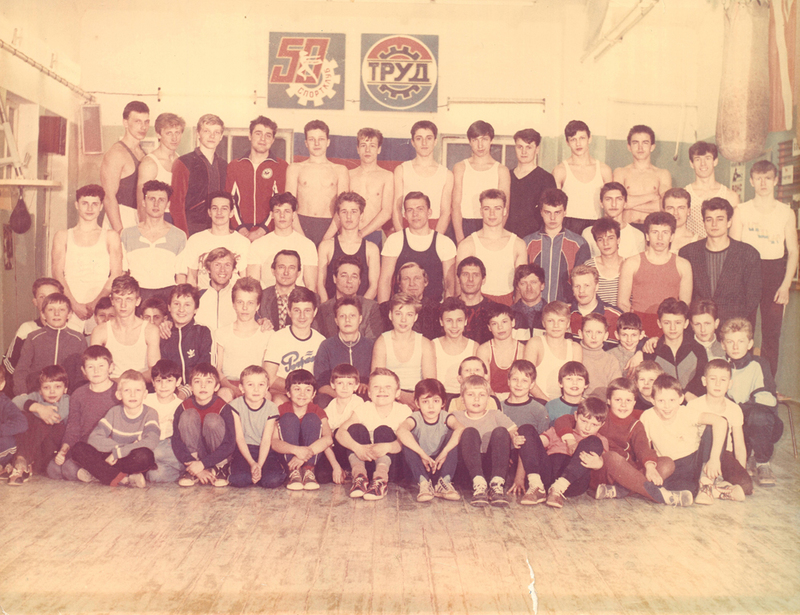 He trained with current prospect Jeremy Fiorentino in preparation for his upcoming fight in a local boxing tournament …When Yury entered the gym, his former trainer instantly recognized his familiar face and, as the matured student approached him, he remembered that day back in 1988 when the young boy Yury Belskiy first time came to train in the Kolomna (Moscow region) gym. 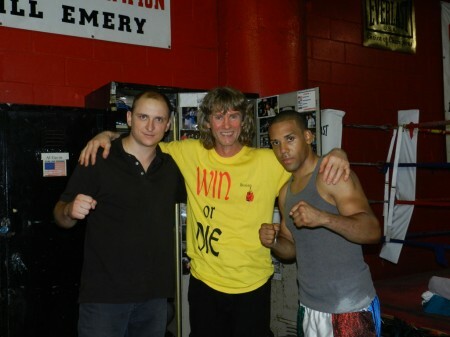 Former Russian student, Yury Belskiy, and current American student Jeremy Fiorentino with their trainer Michael "Coach Mike" Kozlowski in New York City. This landmark anniversary day was filled with phone calls and e-mails from former students from many different countries around the world, some champions and some not. Michael Kozlowski was very happy on his 50th Birthday! A day before flying home to Russia, Yury Belskiy attended The 6th Annual Long Island Amateur Boxing Championships Tournament to support the American Champion Jeremy Fiorentino who confidently won his semifinal fight. Yury Belskiy and Jeremy Fiorentino after winning the semifinals. A week after Yury Belskiy returned to Russia, Jeremy Fiorentino, went on to win his first tournament after being defeated in the quarterfinals of the USA Boxing National Championships in June, 2011. 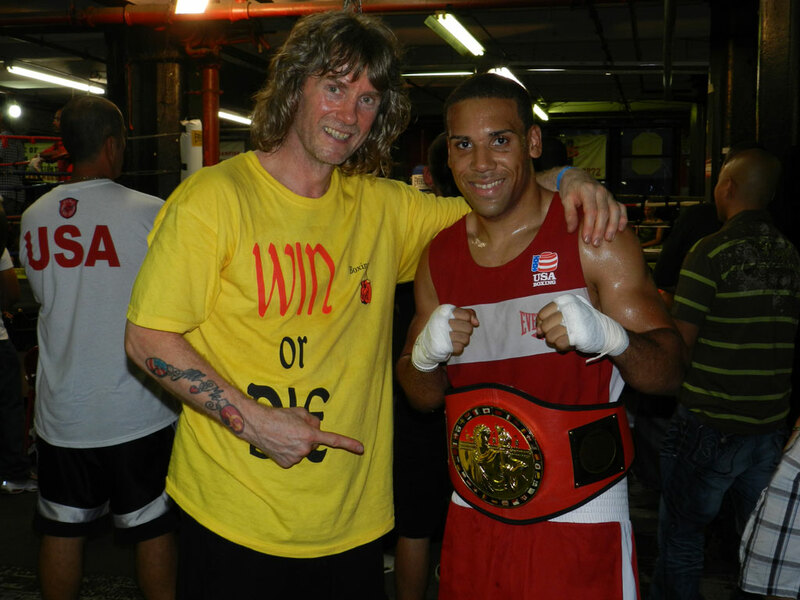 Trainer Michael "Coach Mike" Kozlowski and his champion, Jeremy Fiorentino.